The silver screen has been launching fashions for almost as long as it has been around. 50,000 copies of Adrian’s ruffled-sleeved Letty Lynton dress were sold in 1932, and in 1939 Gone with the Wind launched innumerable green-sashed dress replicas. Annie Hall made oversized androgyny tres chic. Closer to the present, yellow is predicted to be the frock colour du jour of 2017, thanks to La La Land and Beauty & the Beast. Before the screen launched fashions, the stage did the same job. While not as many people could see a stage performance as a film, the costumes in notable London & New York productions were described in great detail in newspaper articles around the world, and images of the actors in their roles were widely disseminated as collectable trading cards. The costume enthusiasts amongst you are probably familiar with Merry Widow hats and Dolly Varden frocks. 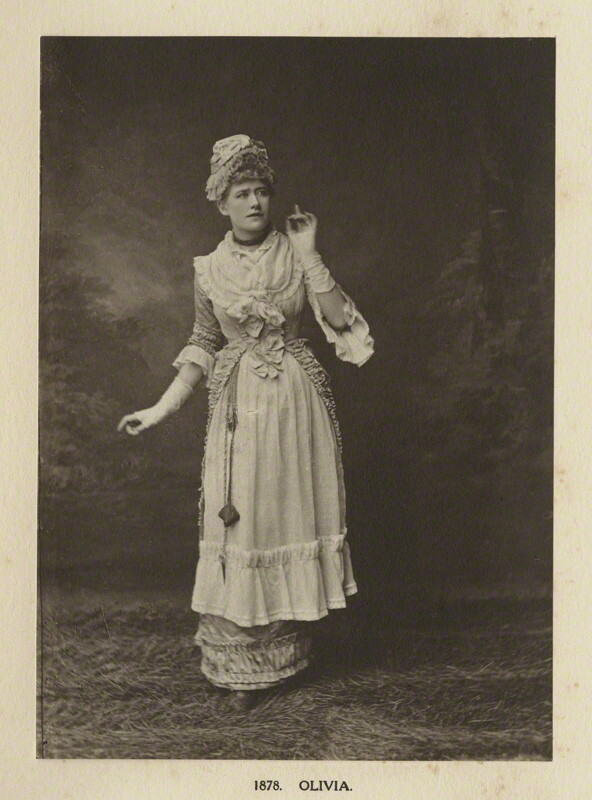 Less famous today is the Olivia cap, or Olivia bonnet, popularised by Ellen Terry’s turn as Olivia in 1878’s Olivia at the Court Theatre, a play based on The Vicar of Wakefield. 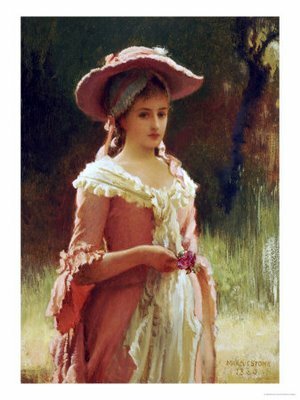 Like Dolly Varden, Olivia was set in the 18th century, and the costumes were an 1870s take on 18th century fashions, fitting in with the Georgian influence that was already a major inspiration in 1870s fashion. Olivia was a success in London, and cemented Ellen’s reputation as a theatre star. A well received tour of the play throughout ‘the provinces’, with her husband Charles Kelly playing the role of the Vicar, made her face known throughout England. Ironically, the tour was only launched as a sop to Kelly, who was miffed that he had not been given the lead role in London, and it failed to solve Kelly & Terry’s marital woes, and they were divorced soon after.. Images of Ellen in her distinctive ’18th century’ costumes were disseminated around the world, published in newspapers, and traded as cards. 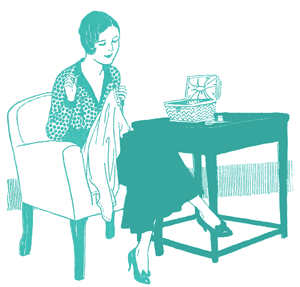 Her outfit as a whole was widely admired, but her lace cap and ruffled fichu came in for particular notice. 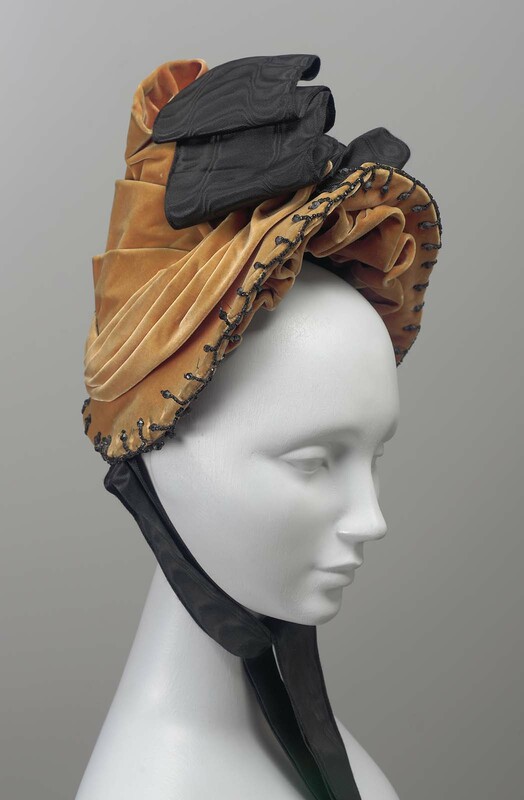 The Olivia cap, or Olivia bonnet, as it became known, was originally a bonnet with ruffled lace flounces, high cap and close side brim fit with a central peak, with a ribbon tied in an elaborate bow right at the peak. Later the name applied to any hat with the distinctive peaked brim shape. 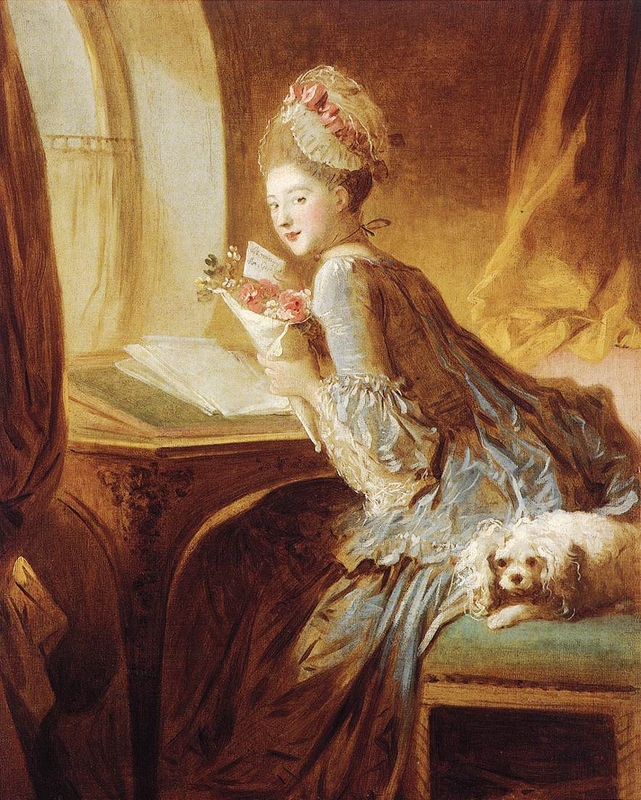 Ellen’s onstage Olivia cap was based on 18th century caps depicted in artworks such as Fragonard’s The Love Letter – which was probably the primary source of inspiration for the cap. The set design for 1878s Olivia was done by Marcus Stone (known for his romanticised historical paintings), and while Ellen Terry was often responsible for designing and sourcing her own costumes, it’s almost certain that he created Olivia’s 18th century look for the 1878 staging. 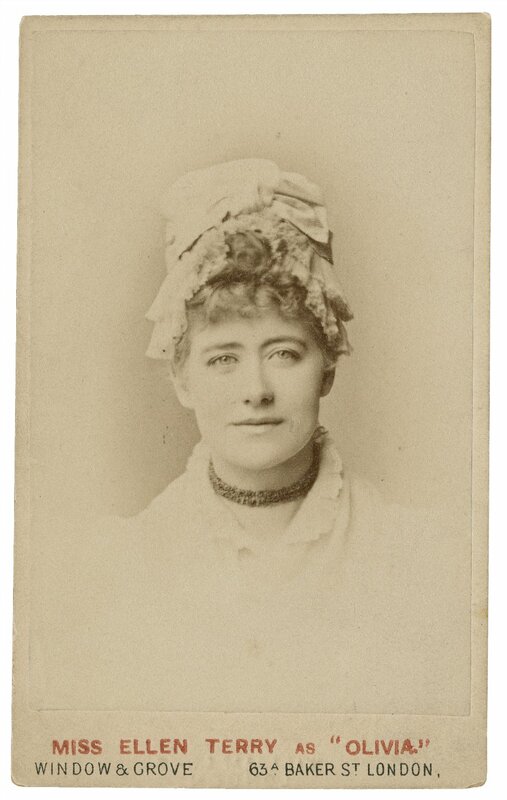 Ellen Terry’s daughter, Edith Craig, who appeared in small roles in the 1878 Olivia as a nine years old, remembers being enormously proud of seeing Olivia hats modelled after her mothers on-stage cape for sale in store windows. 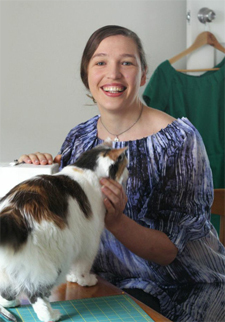 This pride partly made up for the disappointment of being continually dressed in aesthetic-inspired cotton Liberty frocks and aprons, when she longed for a conventional silk dress, like other little girls wore. 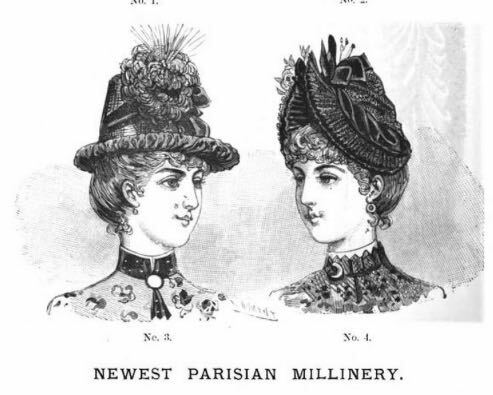 While Ellen’s own choice of dress for herself and her daughter was distinctly un-conventional (Ellen, was known, among other things, for wearing her hair quite short – just at the shoulders – loose and tousled; a look that was copied by her more daring fans) , Olivia headwear was widely adopted by conventional society. The first mentions of Olivia caps and bonnets appeared in 1879, and the link the the play is always explicitly mentioned. 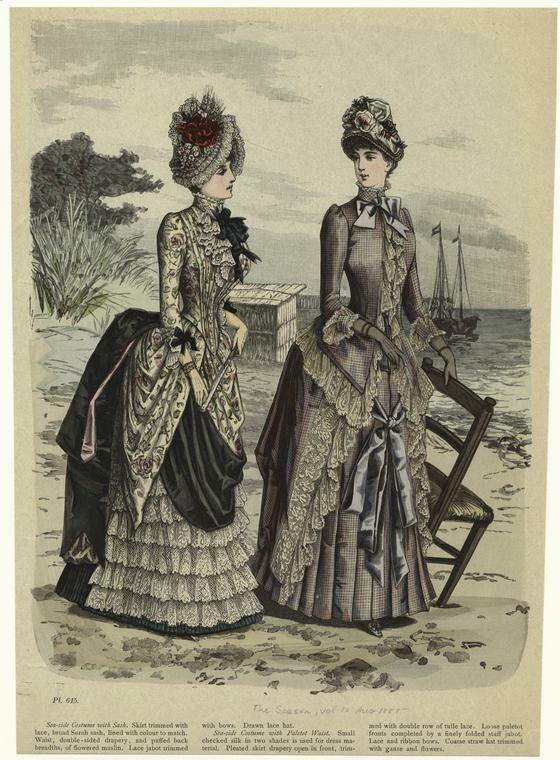 By 1883 mentions of the style appear in fashion columns all over the world, in innumerable variations, with bases made of straw, or plush (as in this 1883 example), The general style of the hat was seen both in outside wear, as the Olivia bonnet or hat and as an indoor cap, as the Olivia cap. Olivia bonnets, associated as they were with the young, innocent Olivia of The Vicar of Wakefield, were seen as being suitable for young girls, and young married women. It was recommended for women with oval faces. 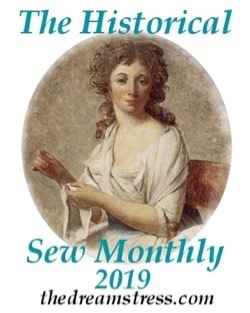 Some fashion magazines were less than enthusiastic about them though, warning ‘the Olivia Bonnet requires very careful choosing, and suits but few English faces’. Olivia hats might have faded out of fashion in the mid 1880s, were it not for an 1885 revival of Olivia at the Lyceum Theatre, with Ellen reprising her role, and Henry Irving as the Vicar of Wakefield. This staging was even more of a success than the first. 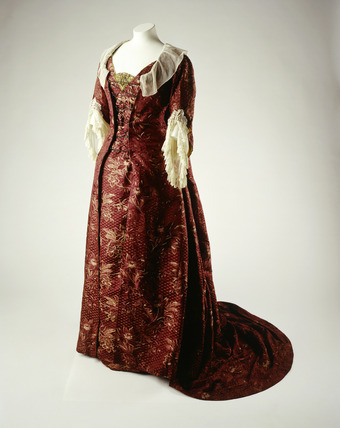 Marcus Stone was again involved, designing Ellen’s costumes, including a red silk dress with ‘Watteau pleats’. 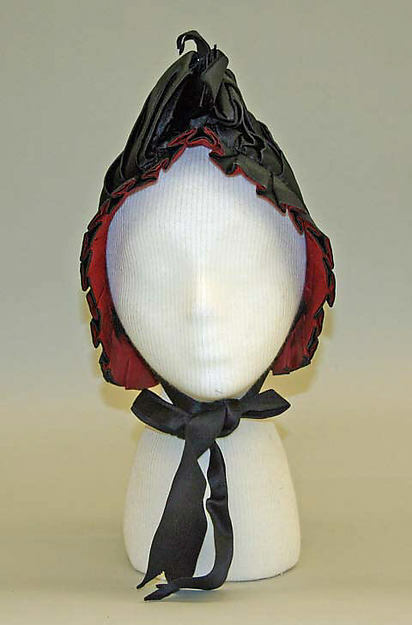 The plays revival kept the Olivia bonnet firmly at the centre of fashion, so that in 1886 fashion papers described bonnet shapes based on either the Olivia or the Princess shape as being most popular. The peaked look soon began to influence other hats. 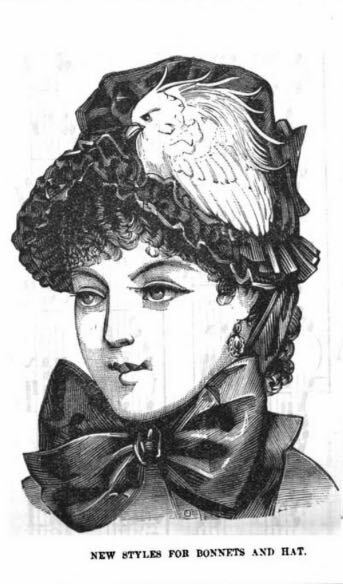 The November 1888 Women’s World credits the Olivia cap and bonnet with inspiring the peaked brim now seen in toques. The Olivia bonnet, however, had done its fashion dues, and by the early 1890s was out of favour as a style. Barwick, Sandra. A Century of Style. London: George Allen & Unwin. 1984. The mid 1880s bustle period is my favorite for making my costumes. 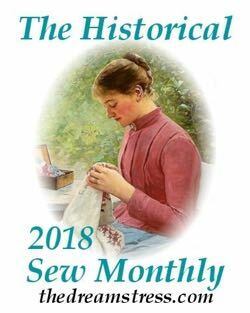 I love learning more about the history of the styles of hats for this time period. I’m just barely getting into using the postman style ones. Was there a play called Dolly Varden as well? I thought she was only a character in the Dickens book Barbaby Rudge, but given how many things are called Dolly Varden, you never know…. Ah, you may have caught me out on that one! I thought it was a staging of Barnaby Rudge that inspired the costume, but perhaps it was just the book illustrations. It definitely wouldn’t have been called Dolly Varden though, so I’m certainly wrong there! Previous PostCostume College 2017 – I’m teaching!